The investigation included: interviews with former cult members; inspection and interview of a federal firearms dealer; review of documentation showing the purchase of large quantities of AR-15 rifles, ammunition and inert grenades (which can be converted to live grenades); and records from interstate shippers. An ATF undercover agent became an associate member of the Davidians, although with limited access to their compound. Sufficient evidence was gathered to allow for the issuance of federal arrest and search warrants in February 1993, to arrest Koresh and search the compound. ATF special agents from the Dallas, Houston and New Orleans Field Divisions were assigned to execute federal warrants at the Branch Davidian compound on Feburary 28, 1993. The Davidians were alerted to the impending raid by a local postman, who was also a cult member. The heavily armed, cult members were waiting in ambush as the agents unloaded from their vehicles. Koresh was outside on the porch, as the agents approached telling him they had a search warrant and instructing him to "get down," he retreated inside the house. Gunfire burst through the door, as the agents approached, one agent was wounded. As a result of the 2 1/2 hour long gunfight, four ATF agents were killed; 20 ATF agents wounded from gunshots or shrapnel and eight agents suffered other injuries. A cease-fire followed and Koresh released 24 members (mostly children, but none of his own) from the compound. 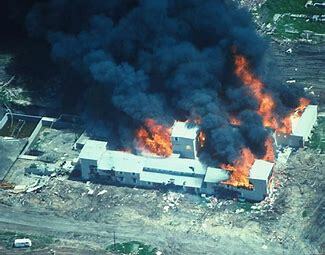 A 51-day stand-off ended when the Davidian Compound erupted in fire(s) set by cult members, as law enforcement attempted to force them out by introducing tear gas into the building on April 19. The fire destroyed the compound and more than 70 residents were killed, many from gunshot wounds apparently inflicted by fellow cult members. Nine cult members escaped the fire and were arrested, while eight of those members were later convicted in federal court on various firearms and/or other charges; and all were sentenced to various lengths of imprisonment. A subsequent investigation by the Departments of Treasury and Justice regarding the actions of law enforcement agents during the siege determined that some tactics and decisions were poorly executed; and certain actions by ATF were criticized. However, the September 1993 U.S. Department of Treasury Administrative Review concluded: "...the agency is made up of dedicated, committed and experienced professionals, who have regularly demonstrated sound judgment and remarkable courage in enforcing the law. ATF has a history of success in conducting complex investigations and executing dangerous and challenging law enforcement missions. That fine tradition, together with the line agents' commitment to the truth and their courage and determination has enabled ATF to provide our country with a safer and more secure nation under law." 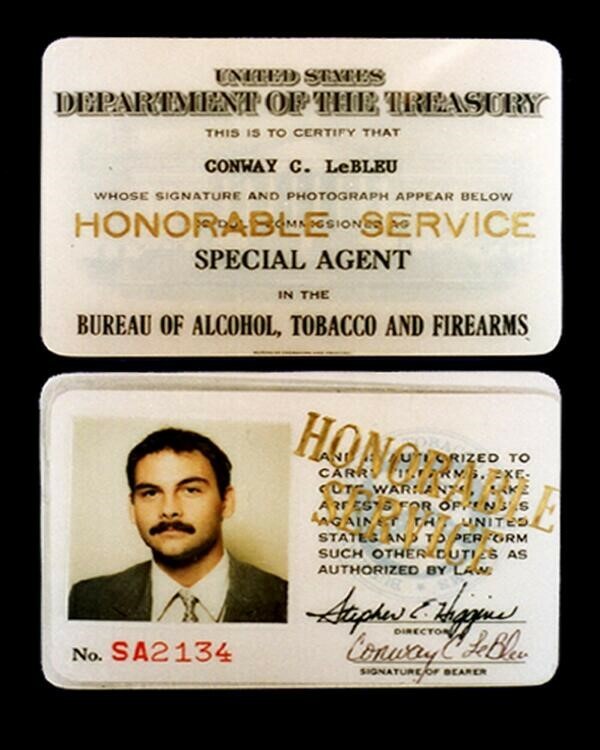 Special Agent Conway LeBleu joined ATF on August 31, 1987, and was assigned to the New Orleans Field Division. He carried badge #2134. During his short career, Agent LeBleu was the recipient of Special Act Awards in 1988 and 1991 for investigative excellence. He was also recognized by Louisiana State University for his participation in a field service training program for students. Prior to joining ATF, he served with the Calcasieu Parish, LA, Sheriff's Department. Conway loved all sports and was an avid hunter. He graduated from McNeese State University (Louisiana) in 1987. Agent LeBleu was born in Lake Charles, LA. He was survived by his wife and their two sons. 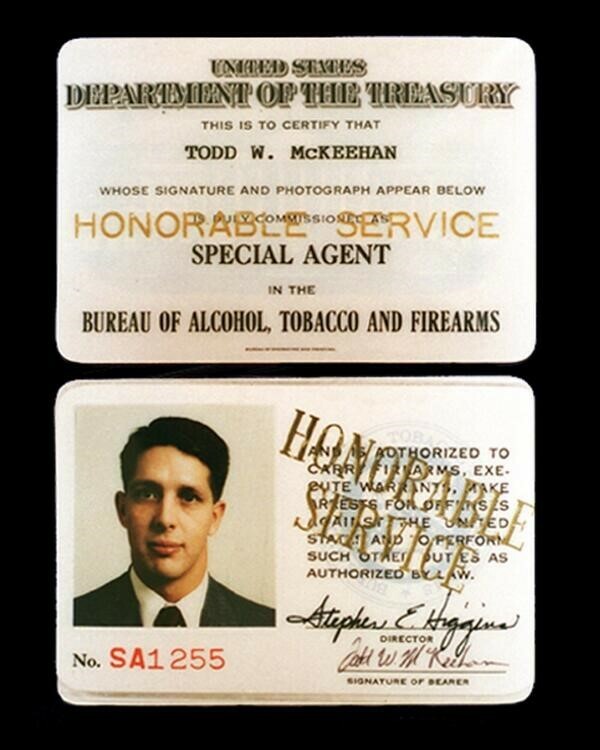 Special Agent Todd McKeehan joined ATF on October 8, 1989, and was assigned to the New Orleans Field Division. He carried badge #1255. During his short career, he was the recipient of two Special Act Awards (1990 and 1991) for significant contributions to major investigations. Prior to joining ATF, he worked with the Sullivan County (TN) Sheriff's Department and during college, had completed an internship with U.S. Marshal Service. Todd was a member of the United States Marine Corps (Reserve) and was called to duty for Operation Desert Shield in November 1990, where he served for six months. He graduated from East Tennessee State University (1988) and was a member of the National Honor Society. Agent McKeehan was born in Johnson City, TN. He was survived by his wife. 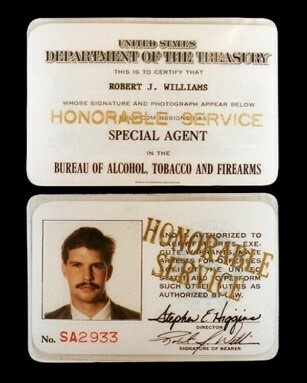 Special Agent Robert Williams joined ATF on October 9, 1988, and was assigned to the New Orleans Field Division, Little Rock (AR) field office. He carried badge #2933. During his short career, Agent Williams received several Letters of Appreciation; for his investigative assistance to the Arkansas State Police on a large commercial fire; as an assistant instructor at an explosive handler's school for police officers; and for his assistance in an explosives safety training seminar for members of the Arkansas Fish and Game Commission. Agent Williams' father, James, is a retired United States Secret Service Agent. Rob was a graduate (1988) of Florida State University. He was also an accomplished and certified scuba diver. Agent Williams was born in Baltimore, MD. He was survived by his wife. 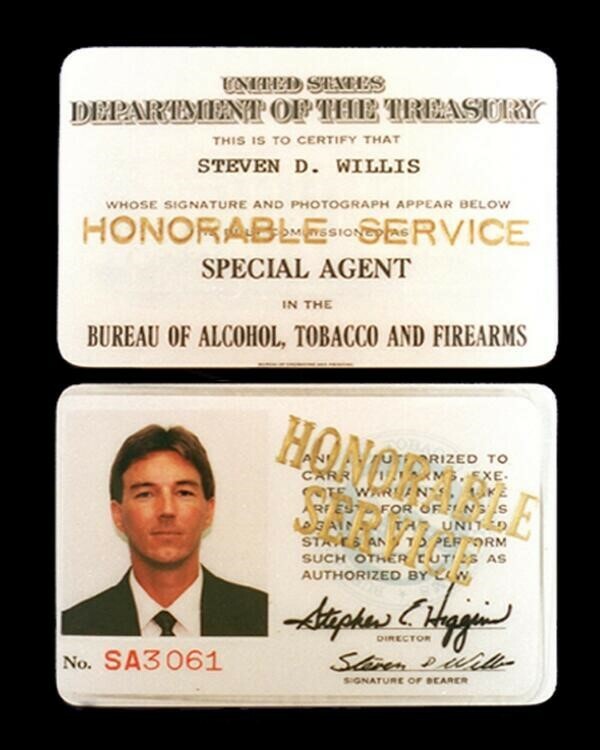 Special Agent Steven Willis joined ATF on July 1, 1990, and was assigned to the Houston Field Division. He carried badge #3061. Previously, SA Willis was an investigator for three years with the Defense Investigative Service. Steve was an avid race car driver in his spare time. He finished as one of the top three drivers at championship races (1985-1988) sponsored by the Tri-State Sports Car Council. Steve was a graduate (1986) of Southwest Texas State University, where he received a B.S. in Criminal Justice. During college, he completed an internship with the Texas Department of Public Safety. Agent Willis was born in New Orleans, LA. He was single and survived by his parents and sister.